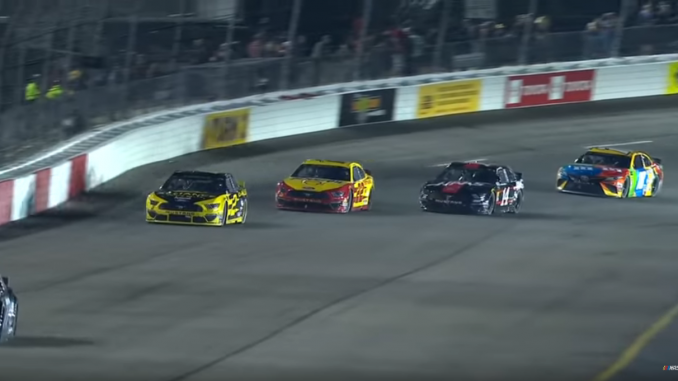 Joey Logano wasn’t too pleased with his Penske teammate Brad Keselowski while racing at Richmond Raceway Saturday night. Logano, who started third had been running among the lead back all night. But after a round of pit stops during a caution on lap 244; Logano came out second with Keselowski just behind in third. Shortly after the restart, Keselowski was able to grab the lead. Martin Truex Jr., who had led on the restart, would have none of it and took back the lead on lap 294. Keselowski was soon trying to hold onto second much to chagrin of Logano who tried to pass him but came up short allowing Truex to stretch out his lead. Logano would eventually get the spot. Despite a valiant effort to try and get past Truex in the closing laps, he came up short and had to settle for second. Keselowski would finish 8th. No word whether the teammates rode in the same plane home.